Preschool children and toddlers often make speech errors with the tongue that can make it difficult for them to be understood. Sounds like “k,” “s,” and “r” commonly have errors because saying them accurately requires high-level coordination of the muscles in the tongue. In fact, 15% of children, aged 4-6 years, have some delay or error in speech sound production, without any known cause. Traditional speech therapy for these errors can include games, drills, and some work to describe or show how the sound should be produced. Many times, these errors can be resolved with less than a year of treatment. Sometimes, even with strong work in speech therapy, the speech errors continue into adolescence and adulthood. 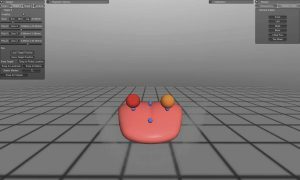 In these cases, being able to see how the tongue is moving and to provide a visualization of how it should move would be especially useful. Opti-Speech is a technology that provides this visualization in the speech therapy room. 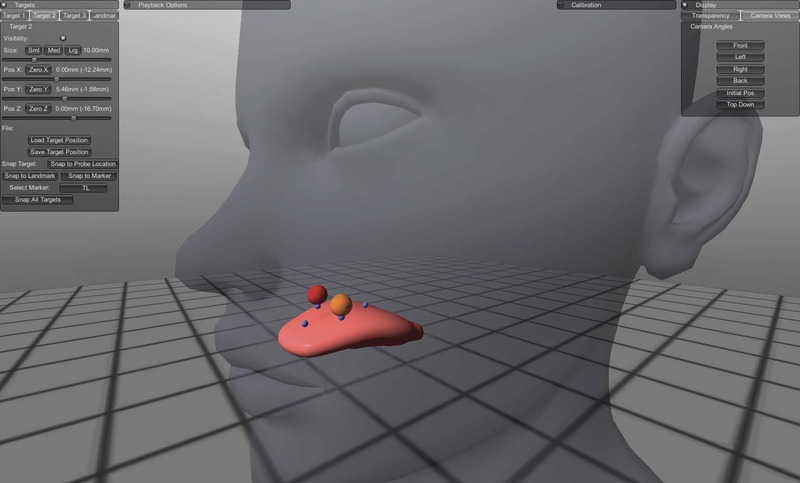 With it, the patient’s tongue movement is displayed in real-time as he or she talks. The speech therapist can see how the tongue is moving and provide target shapes that help the client produce speech sounds correctly. It was developed by a team that included speech therapists, computer scientists, animators, and biomedical engineers in collaboration with a tech company, Vulintus, using hardware created by Northern Digital, Incorporated. Tiny sensors are placed on the tongue and their positions are tracked in an electromagnetic field. The positions of the sensors are generated as a 3D animated tongue on a display screen. Using the animation, the speech therapist can identify how the target sound is produced in error, which is not possible without this visualization. In 2008 in Dallas, Texas, I started working with a talented team that included an electrical engineer, a computer scientist, an animator, and two other speech therapists to create the Opti-Speech therapy technology. We imagined software that could show an animated version of a tongue, driven in real-time by the motion of the client’s tongue, that could be used to “show” clients how to produce the sounds better. Similar technology is used to improve golf swings — by showing the aspiring golfers an image of their swing superimposed on an ideal swing, improvements come more rapidly. Why couldn’t this same concept be applied to speech, we wondered. With this in mind, the Opti-Speech project began. The engineers and animators worked on the software, the speech therapists tested early versions, and in my lab at Case Western Reserve University, we set out to better understand what the targets for speech sounds might be. It has been almost 18 months since CHSC started the Opti-Speech trial. Rebecca Mental, a CHSC staff speech-language pathologist and doctoral student at CWRU, designed the treatment sessions and is running them. To date, she has completed the treatment with eleven participants who range in age from 8 to 22 years. Each and every one of these individuals has put in many hours across 13 sessions to help us understand if Opti-Speech will be a treatment that will be beneficial to our clients. With these cases behind us, I am pleased to report that I believe we have a powerful new approach for treating those speech sound errors the most resistant to improvement. All of the Opti-Speech participants were previously enrolled in speech therapy without resolving their speech errors. Many of these individuals came to us frustrated, expecting to encounter yet another unsuccessful run in therapy. With Opti-Speech, most of these participants experienced a transformation in how they make speech sounds. The key to the success of Opti-Speech is giving the client an additional “sense” for producing speech. In addition to feeling the tongue move and hearing the sound, Opti-Speech clients can “see” the movements of the tongue and know, right away, if they have produced the sound correctly. Every year at Cleveland Hearing and Speech Center, we see countless clients who have speech production errors that Opti-Speech may improve. We have a strong affiliation with researchers at CWRU and we have a talented team of speech therapists who can help to run the trial. In other words, CHSC is unique in the world in its ability to test new technologies for speech, hearing, and deafness. This is why CHSC is the only site in the world currently running the Opti-Speech clinical trial. Almost a century of collaboration, community support, and philanthropy has helped to create the perfect environment for bringing the most cutting-edge speech therapy to our region.